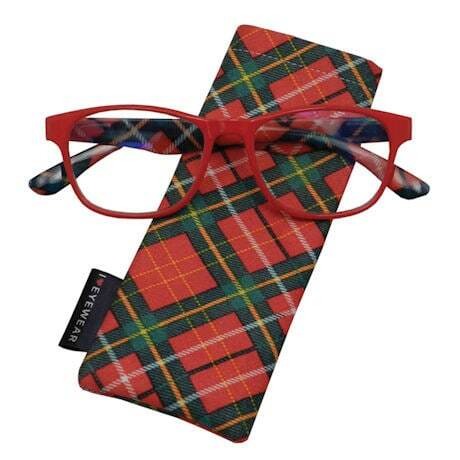 Our marvelously merry Red Flannel Readers express a festive sense of style. 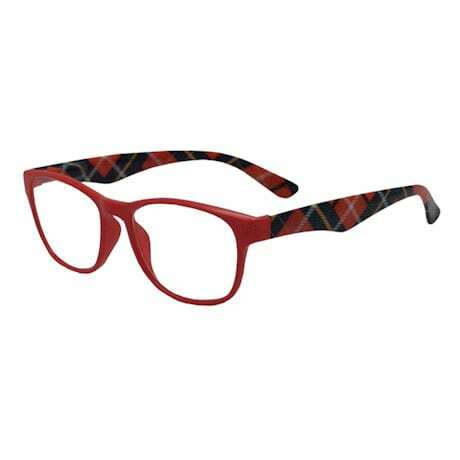 We think these readers are fashionable year-round - but are particularly well-suited for reading tiny gift tags, notes to Santa, and Christmas-themed novels. Comes with matching poly case. Please specify lens magnification: 1.0, 1.5, 2.0, 2.5, 3.0, 3.5, or 4.0. Buy 3, save 10%! Buy 5, save 15%! Buy 10, save 20%!